A Chicago bicycle courier has received a personal injury settlement arising from a dooring incident in April. My law firm represents the injured bicyclist. At around 5:30 p.m. on April 28th the cyclist was making a food delivery on his bike, riding south in the designated bike lane on North Halsted Street in Chicago. It was to be an easy ride from a take-out restaurant at 800 West Fullerton Parkway to a customer’s home near the 1600 block of North Halsted. He wore a helmet and his bike was in good working condition. At the same time, a driver had parked her 2003 Infiniti coupe along the right curb in front of 2048 North Halsted. As the bicyclist peddled south, suddenly and without warning the driver, failing to look for bicycle traffic in the bike lane, flung her driver’s side door open directly into his path. Only a few feet away when the door opened, the rider tried to brake and steer to his left to avoid it but clipped the door with his right hand. The collision threw him to the left into motor vehicle traffic where he was struck by a passing car. That second impact caused him to crash hard onto the road. The passing vehicle did not stop. The bicyclist sustained three fractured ribs. No person shall open the door of a vehicle on the side available to moving traffic unless and until it is reasonably safe to do so, and can be done without interfering with the movement of other traffic, nor shall any person leave a door open on the side of a vehicle available to moving traffic for a period of time longer than necessary to load or unload passengers. Being struck by a wayward car door is one of the most common causes of bicycle crashes in Chicago. To read about how to avoid getting "doored" while biking in the city click here. He was pedaling at a casual pace toward his Logan Square home on a warm July night when suddenly everything exploded. At around 10:30 p.m. on July 8th a 31 year old male bicyclist was struck by a car who ran a red light at North Humboldt Boulevard and West Cortland Street in Chicago's Logan Square neighborhood. The cyclist was riding home for the evening after a laid back dinner with his girlfriend. His route home took him west on Cortland, a quiet residential street. When he reached the intersection with Humboldt Boulevard's outer section he stopped at the stop sign. The stop light a few yards ahead of him controlling traffic on Cortland and the main section of Humboldt Boulevard was green and he proceeded west. He had reached the approximate center of the intersection when he saw the vehicle, a 2004 Suzuki, bearing down on him, the driver running the light. The collision was massive and threw the bicyclist's 6'2", 200 lb. frame into the air then down onto the car's windshield, shattering it. Covered in blood, he regained consciousness in the ambulance rushing him to Advocate Illinois Masonic Medical Center. In the emergency department, medical personnel cut his clothes off of him and worked to stabilize his condition. They would discover that his brain was hemorrhaging and admitted him to the hospital where he remained for several days. He continues his long road toward recovery. Armani Hillman, 10, died Monday from serious injuries sustained after being struck by a 17 year old driver as he road his bicycle in the western suburb of Broadview, according to The Chicago Tribune. The incident occurred around 3:30 p.m. on Sunday on 25th Avenue, north of Cermak Road. Armani had been riding his bicycle when he was struck by the teenage driver traveling southbound on 25th. Armani was pronounced dead the following day at Loyola University Medical Center. 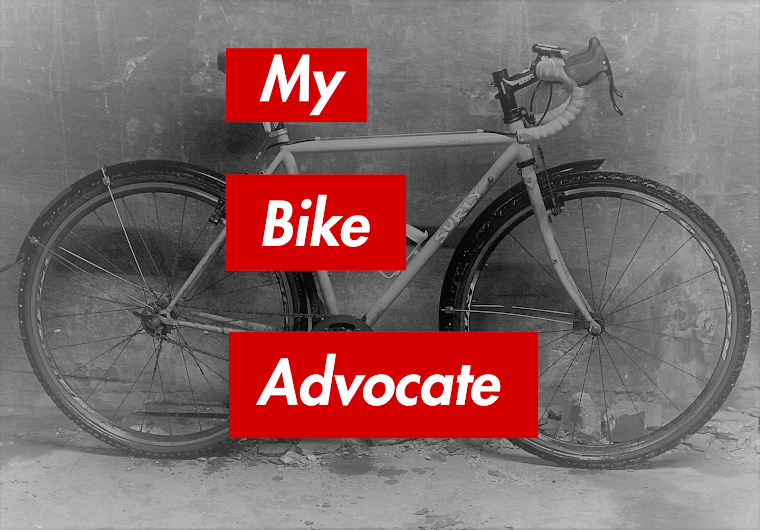 The case of a Chicago bicycle messenger, left bloody and scarred by a collision caused by a driver's foolish maneuver, has been successfully resolved by my law firm. The matter settled for the full amount of all applicable auto insurance. In the teeth of the evening rush on May 8th the driver of a Nissan SUV attempted an illegal u-turn in front of the bike messenger, riding northbound on South Franklin Street in the Loop, causing a crash. The driver had parked or stopped the 2002 Nissan XTerra SUV along the northbound curb at 70 South Franklin before attempting to swing the vehicle to the left in an apparent effort to get into the southbound lane. At the same time the 26 year old female bike messenger, who had just finished her 11 hour shift, was making her way home in the right lane of northbound Franklin. Despite being an experienced city cyclist, the abrupt absurdity of the Nissan's maneuver surprised her and she was unable to avoid striking the truck. A witness to the event squarely corroborated these facts. The impact was hard and left the bicyclist laying in the street, rush hour traffic cruising past her. Shocked, she quickly became aware of a sticky wetness on her face. The impact had opened a large gash on her forehead and she was bleeding. Nearby pedestrians urged her out of the street. A witness called 911 and an ambulance arrived and took her to Northwestern Memorial Hospital nearby. The cyclist's head wound was deep and bled a lot. Even her bicycle was stained with blood. The gash required sutures to close. Her body was also left badly bruised and beaten. Though the bruises, aches and pains went away after several weeks, the scar on the front of her forehead did not. A board certified physician retained by my firm to examine the wound concluded that she will likely be left with a permanent scar. A 53 year old Chicago bicyclist was left with a brain hemorrhage, fractured ribs and bruised lungs after being struck by a minivan on the city's West Side Saturday afternoon, according to The Chicago Tribune. The male cyclist was walking his bike along the 300 block of South Pulaski Road at the time of the collision. The driver, Sergio Nava, did not stop despite pleas by onlookers. However, police were able to track the man to his home and arrest him thanks to witness accounts. The bicyclist remains in Stroger Hospital and was listed in critical condition as of yesterday. Mr. Nava is being held on $150,000 bond. Damn it, I wish I didn't go this way! Ever mumble that to yourself while riding around the city? There have certainly been times when I've found myself on some bike-lane-less, no-shoulder road with cars and trucks buzzing me and wished that I had thought more about my route before heading out. It is a dangerous situation for a bicyclist to find himself or herself. You get nervous, scared even, loosing focus on what you are doing. You start thinking too much about just extracting yourself from your poorly chosen route, and as a result you do something stupid. Maybe you run a light, swerve across the lane without looking or turn down a one way street going the wrong direction. These decisions made under stress can get you hurt or killed. In my experience one of the wisest safety measures an urban cyclist can take is to put some thought into their planned route of travel ahead of time. This need not be a lengthy orienteering brainstorm. But take a few seconds to think about where the bike lanes are, what surface or secondary streets can get you where you are going in order to avoid gnarly traffic conditions that can place you in a scary situation. When your own knowledge of the city is taxed there are simple tools out there offering aid to the wandering biped. Google Maps has a bike route option. Ride The City is another smartphone app that I've used with success. Also, recently, Chicago urban planning expert and alternative transportation advocate Steven Vance has created an iPhone app that puts a map of the city's bike safe routes in your pocket. The beauty of this new travel app, Chicago Offline Bike Map, is that, unlike Google Maps and Ride The City, you do not need to be connected to the internet to use it. Instead, this application downloads the maps, organized by neighborhood and points of interest, right onto your phone, to be uploaded anytime, anywhere, even where mobile service is spotty. The app costs .99 cents and is available only (for the time being) for iPhone. Check it out here. 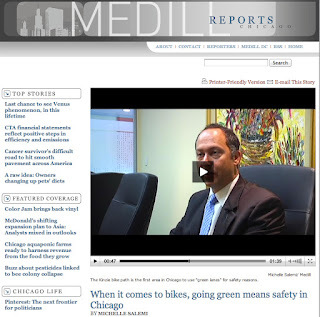 Full disclosure: My law firm advertises on Steven Vance's transportation blog, Grid Chicago. Update - 1:00 p.m. The twenty-three year old female bicyclist killed last night leaves three minor children behind. Caprice Cunningham is survived by a 5 year old son, a 3 year old and a 1 year old daughter, according to The Chicago Tribune. The incident allegedly occurred at or near the intersection of 87th Street and Cottage Grove Avenue. A search for witnesses to the crash is underway. A family member of the bicyclist, Michelle Cunningham, who saw Caprice in the hospital stated that her injuries strongly suggested that the truck that hit her was traveling at a high rate of speed at the time of impact. The driver has been cited for driving an unsafe vehicle and driving on a suspended license. Click here to read more. Another Chicago bicyclist has been killed. Caprice Cunningham, 23, died last night after being struck by an ice cream truck in the Chatham neighborhood on the city's South Side, according to the Chicago Sun-Times. The incident occurred at around 8:40 p.m. as the Ms. Cunningham rode in the 8700 block of South Cottage Grove Avenue. She was pronounced dead a half an hour later at Advocate Christ Medical Center in Oak Lawn. No more facts regarding how the incident occurred have been reported, though the Sun-Times reports that "police Major Accidents Investigation Unit is investigating." This is the second reported death of a Chicago bicyclist this month. 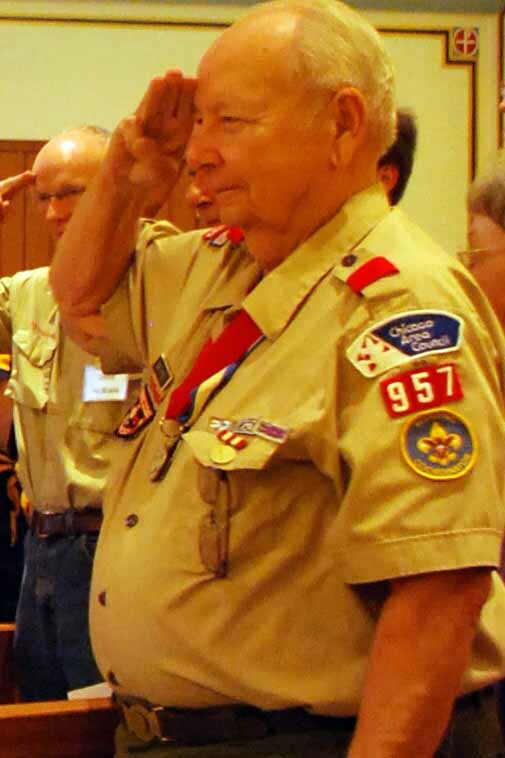 On July 4th, an 81 year old Chicago bicyclist was killed by a motorist while riding to an Independence Day parade. Walking across the street in a crosswalk on his way to work one morning in January, the man expected... nothing; just to reach the other side safely. But a careless driver rudely interrupted the mundane serenity of the 31 year old male pedestrian as he crossed West Peterson Avenue on that Friday morning. As he walked - the traffic light in his favor - from south to north across Peterson at its intersection with North California Avenue a male driver, attempting to turn left onto eastbound Peterson, crashed into him. The impact occurred before the pedestrian could reach the halfway point of the road. At the scene, the driver admitted to striking the pedestrian at about 10 mph. The impact threw the man to the ground where he broke his fall with his arms and face. His eye glasses broke from the fall, cutting him above the eye. He was placed in a cervical collar and was lifted onto a backboard then transported to Swedish Covenant Hospital via City of Chicago ambulance. At the hospital he complained of knee and neck pain. He was also experiencing pain to his right shoulder and both elbows. He had a laceration over his right eye from where he hit the street. After being discharged from the hospital he followed up with his family doctor who prescribed a course of physical therapy. It would take two full months before he recovered completely. Yesterday, my law firm, who represents the pedestrian, secured a significant settlement on his behalf. A 81 year old Chicago cyclist died yesterday afternoon in the Edgebrook neighborhood after being involved in a collision with an SUV, according to The Chicago Tribune. The bicyclist, Robert Van Pelt, was pronounced dead at Advocate Lutheran General Hospital about an hour and a half after the crash on the 5100 block of West Devon Avenue. Few details regarding how the collision occurred have been reported. The Tribune reports that the Toyota 4-Runner SUV was struck along its side. Apparently, Mr. Van Pelt was riding westbound on Devon. It would have been legally permissible for him to ride in the right lane of the road way. It is not clear whether the truck had been traveling on Damen just prior to the crash. North Leroy Avenue appears to be the side street closest to the crash site. When her eyes finally opened she saw a bald man she didn't know standing over her, his cell phone to his ear. He witnessed what happened to her and was calling for help. On the morning of June 19th, a 66 year old Chicago woman riding her bicycle eastbound from her home to a nearby CTA station was doored and seriously injured by a driver. The crash occurred near 1437 West Argyle Street. The bicyclist was on her way to a dental appointment. She was riding to the nearby Red Line stop where she planned to lock up then take the train to her appointment. But before reaching her destination the driver's door of a 2001 Toyota swung open in front of her on the quiet residential stretch of West Argyle. An experienced cyclist, the woman tried to swerve away from the metal obstacle, but her handlebar clipped it and she was send tumbling across the street where she struck a parked car. The second impact fractured her right arm and knocked her unconscious. When she came to, a bald man she didn't know was calling 911. The woman will likely remain in treatment for her injuries for quite some time. My law firm is representing her.